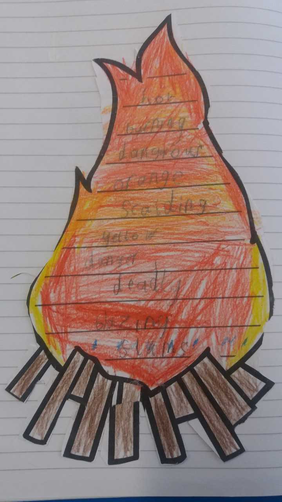 This week we were introduced to the Great Fire of London as our topic for this half term. 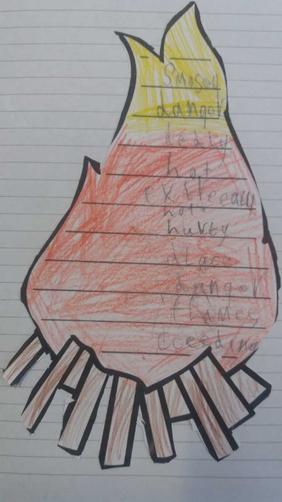 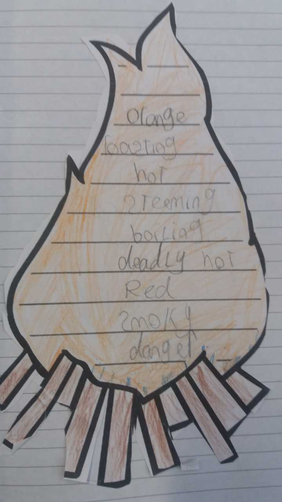 When we came back to school it was Bonfire Night, so we started off looking at fire and fireworks thinking of adjectives to describe their shape, size and colour. 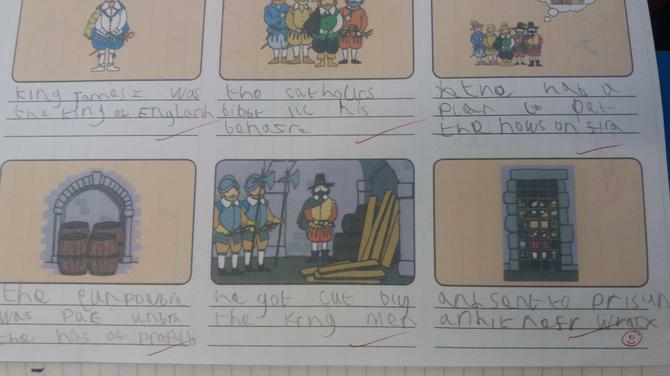 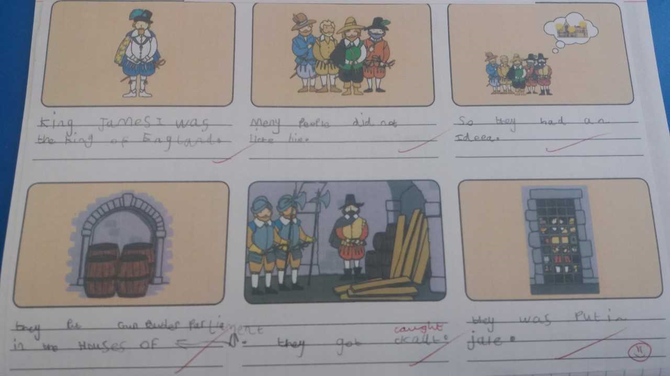 We learnt about the History of Guy Fawkes then acted out and wrote the hisotrical recount of events. 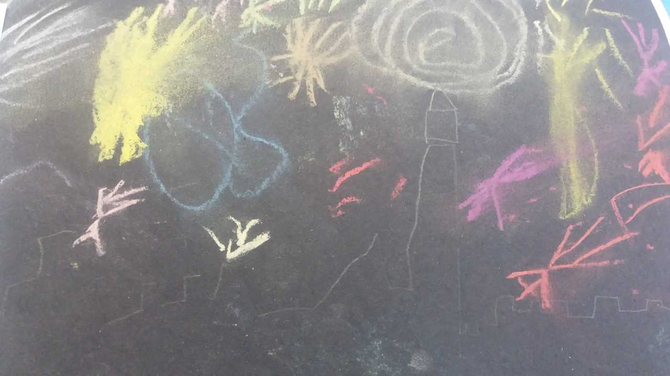 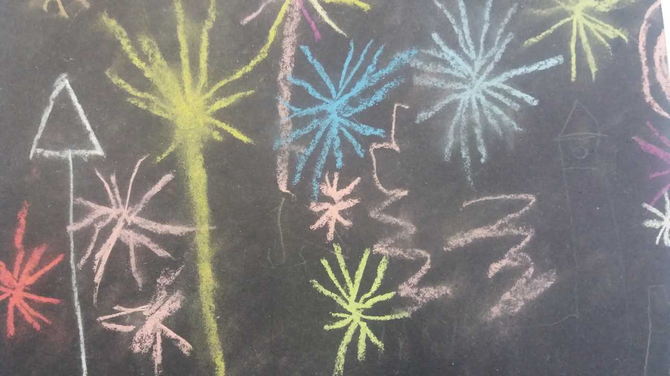 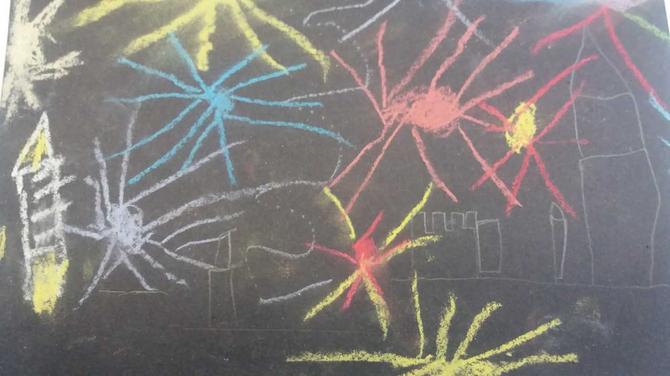 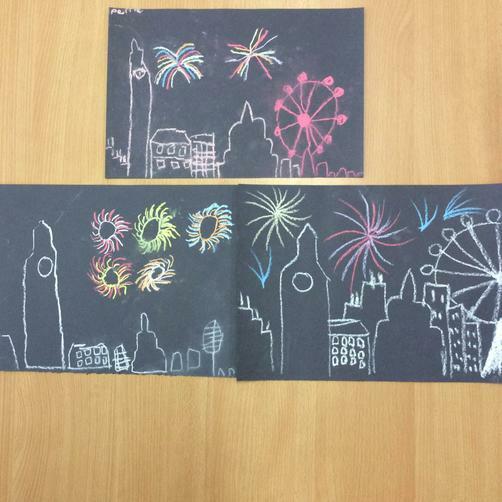 Finally we made chalk firework images which included the skyline of London! 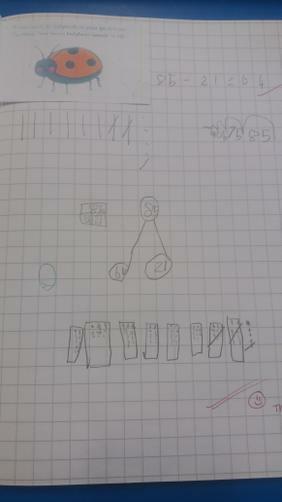 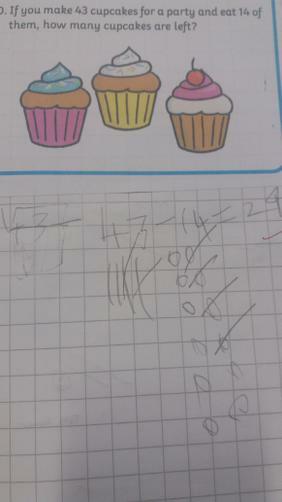 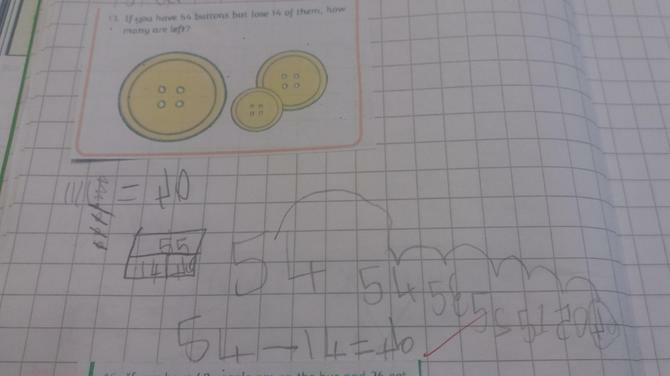 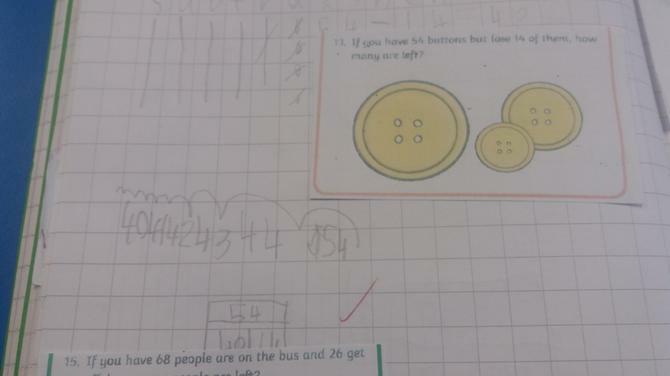 In maths we have finished addition and subtraction by learning about the bar model method. 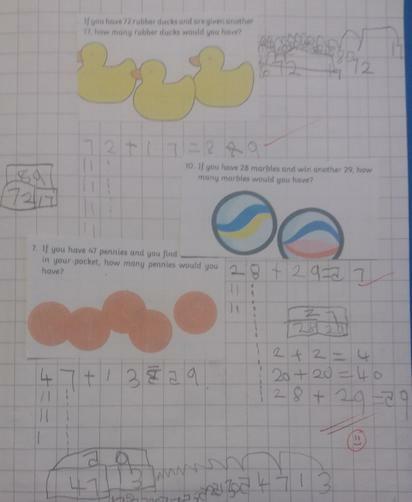 We have been practicing our place value for tens and one, using our knowledge of these to help with calculating the answer. 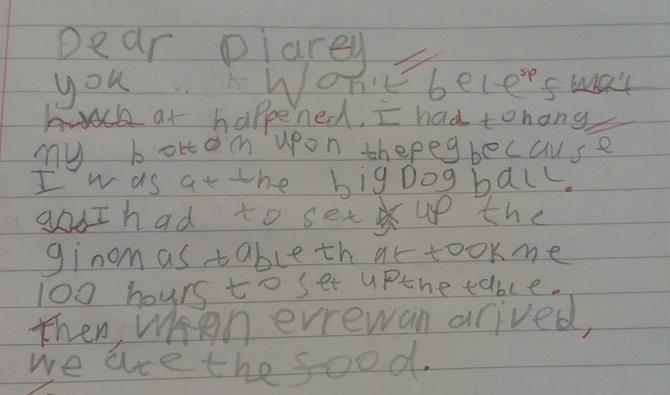 We have begun looking at our book 'The Great Dog Bottom Swap' and are thinking about how we can make a diary entry about what happened if we had been in the story. 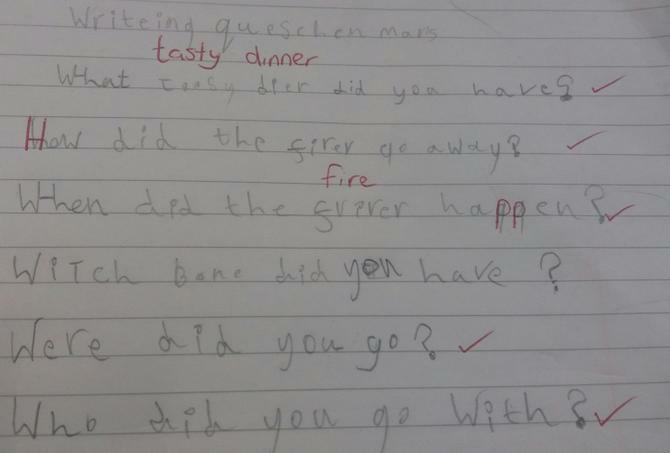 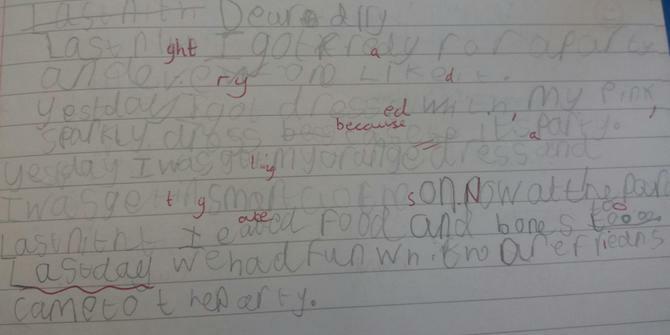 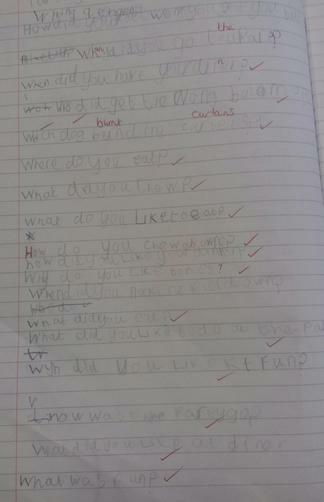 We are also recapping questions and thinking about formation of our sentences.